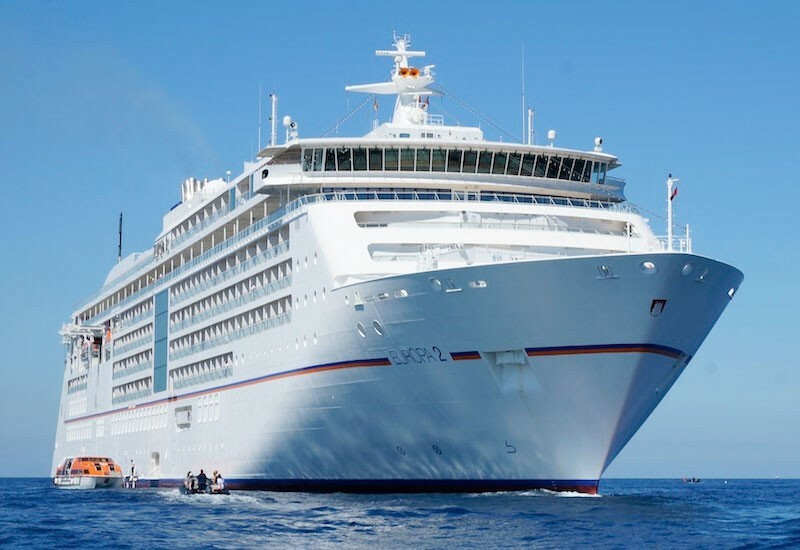 The EUROPA 2 will be waiting for you against the idyllic backdrop of the Spanish port. Enjoy a tour from Gijon to the historic old town of Oviedo* or the pretty coastal town of Aviles* followed by a visit to Cape Penas with its famous lighthouse. From the provincial capital on the peninsula, make the trip through the mountainous landscape to Santiago de Compostela*, the historic place of pilgrimage with its mighty cathedral. The town is the end point of the legendary Way of Saint James*, and you can hike the final stage. Discover the old trading town in its unique location between the Douro wine-growing region and the Atlantic. A city tour* will show you many impressive squares and the grand stock exchange in the old town. Alternatively, take a nostalgic trip through the area on the historic tram* and sample some Portuguese delicacies. Spend a wonderful day on the island of Terceira and enjoy the numerous sights it has to offer such as the nature reserve on Monte Brasil*, the sulphur springs and the UNESCO World Heritage Site of Angra do Heroismo*. Nature lovers can look forward to an exciting hike through the recently created volcanic landscape of Misterios Negros*. Welcome to an amazing natural paradise! Enjoy the beauty of the island and the spectacular views on an all-terrain vehicle tour* or, with a little luck, spot some whales and dolphins*. This green island is also known as the “Flower Island” and offers an amazing diversity of flora along with a wonderful landscape and climate. Take the cable car to the village of Monte and continue to Pico do Arieiro* – the third-highest peak on the island. Or opt for a levada hike* along the typical irrigation system through the stunning natural setting. With its narrow streets and white flat-roofed houses, Cadiz is like a little piece of Africa in Spain. Set off from here on an excursion to Seville*, the birthplace of flamenco with the Alcazar royal palace and many tapas bars. Not too far away you can find Jerez*, famous for its fine sherry and magnificent horses. Get a taste of the Portuguese charm on a walk through the old town and a ride on the Gloria funicular* to trendy Bairro Alto – the upper town. Your cruise draws to an end in the city’s port following an overnight stay on board the EUROPA 2.